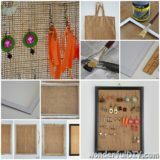 Every once in a while we find ourselves a new DIY obsession that’s something we only really need one copy of, but it’s something so cool that we want to make just about every single version of the project we can get our hands on! 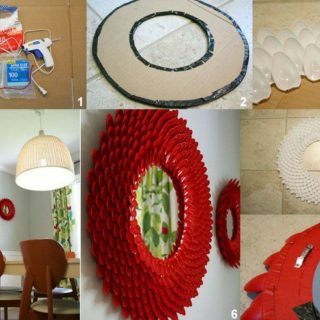 The latest example of this kind of crafting fixation is DIY infinity mirrors. If you’ve never seen one before, then prepare to be impressed! 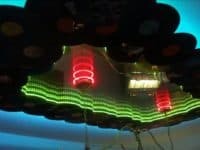 There are only so many light-up optical illusion mirrors you can put in your house without turning the whole place into a disco, however, so we’ve spent ages on the Internet scrolling through project options and carefully considering which one would suit our space best. 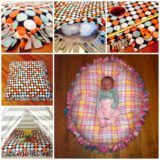 Just in case you’re as enamoured with the glowing beauty of infinity mirrors as we are, here’s a list of our 14 favourite DIY infinity mirror projects that we just can’t choose between because they’re all so great! 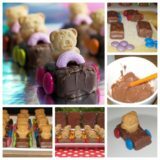 Are you feeling in the mood for a larger project to give yourself a bit of a challenge? 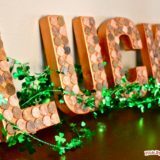 Then perhaps making an awesome statement piece that will really impress your friends down in the games room you’ve built in your basement would be a fun idea for you! 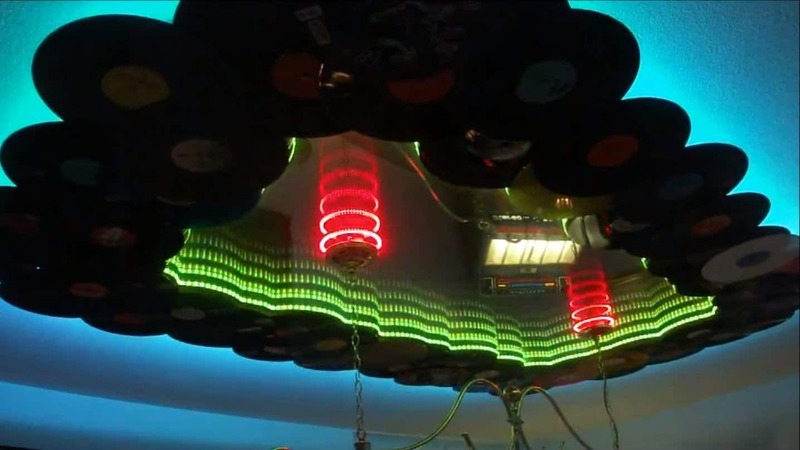 We’re in love with this awesome ceiling mirror from CNC Step because not only is it a massive, totally awesome LED lit infinity mirror, but it’s also framed using upcycled records for a bit of vintage flare! Have you always been a fan of unconventionally designed furniture so that your room has a really unique atmosphere and aesthetic to it? 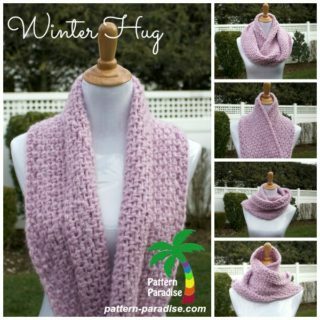 Then here’s a project that’s sure to help you make a statement. Freeside Atlanta shows you how to make a coffee table, but it’s not just any old coffee table. 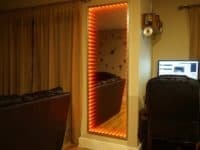 They also show you how to install a mirror and LED lights into the top surface to create an awesome glowing infinity effect right there in the middle of your room. 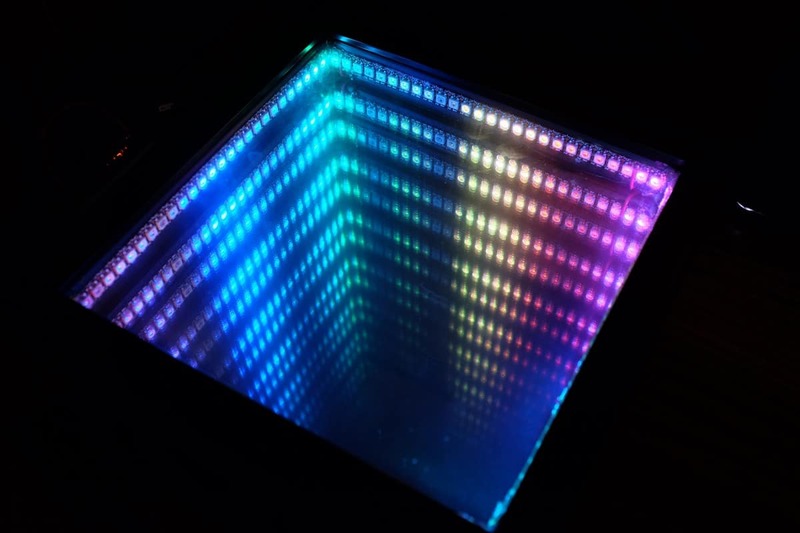 it’s all well and good to know how to make a very small infinity mirror table, but what if your space is big and you like to host all kinds of parties and games nights? 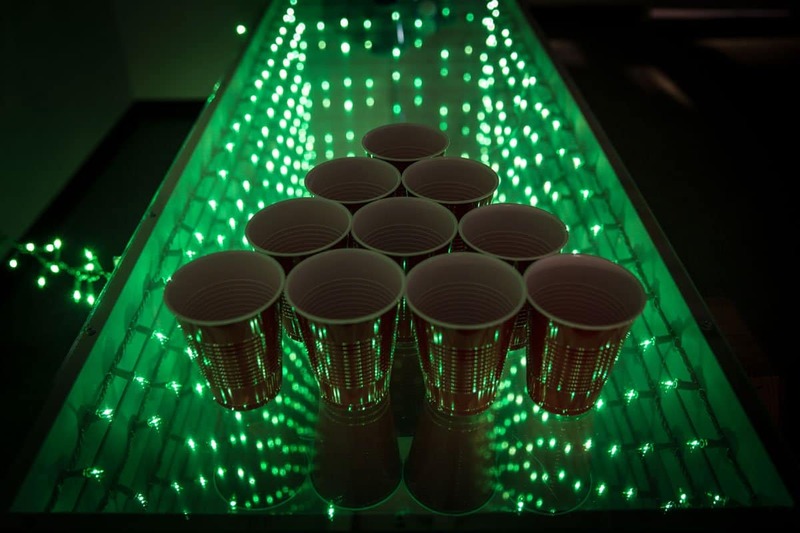 Then we have a feeling you’d prefer this longer games table design instead! 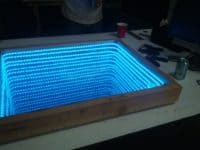 Makezine guides you through the process of making an XL infinity mirror table using a very long table, a full length mirror, and string lights that are a little more affordable than some of the LED bands featured in the projects we’ve show you so far. 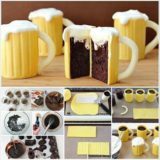 This project is perfect for a house full of students! 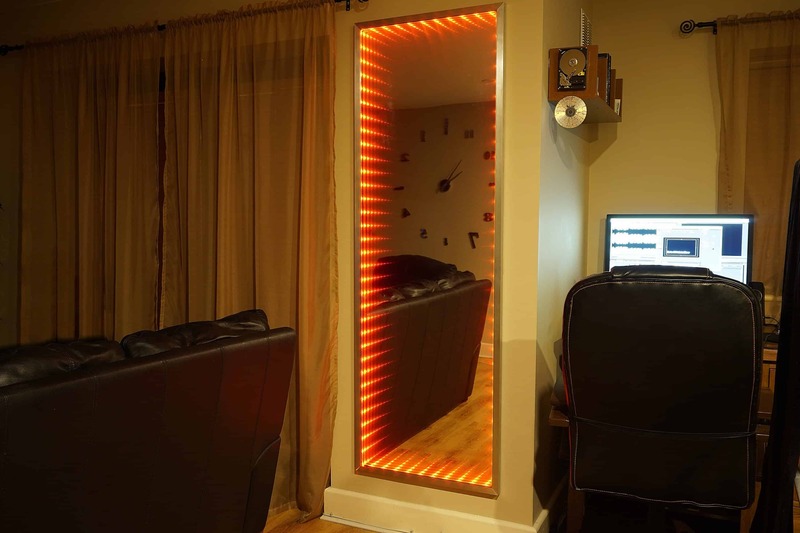 It goes without saying that if you can affix lights into a small mirror or a mirror that sits horizontally, you can also feasibly install them into a full length mirror, like the kind you’d hang on the wall to get a full body view. 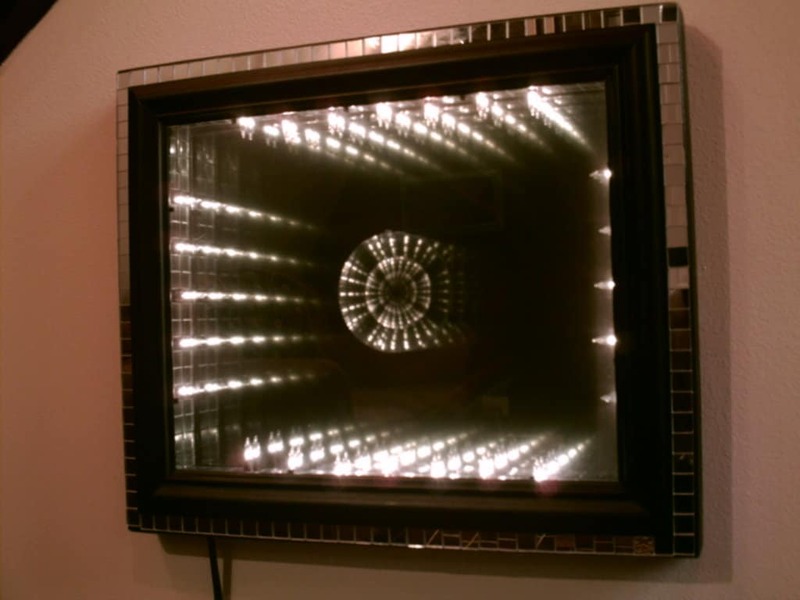 That doesn’t mean, however, that you don’t need a bit of guidance when it comes to actually working with a larger size of mirror and a longer length of lights, so here’s a full-length infinity mirror tutorial from Random Remake to help you out a little! Are you quite new to this whole concept of infinity mirrors and you’re very into the look but you’re not entirely sure you want to commit a whole statement piece in the middle of your house to the sort of futuristic disco aesthetic they build? 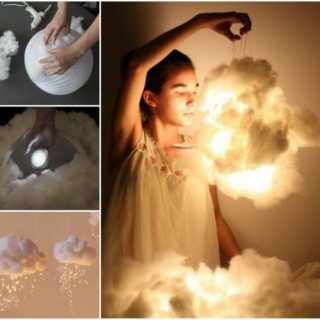 Then maybe a little framed mirror lamp that you can put on your side table is the better project for you! 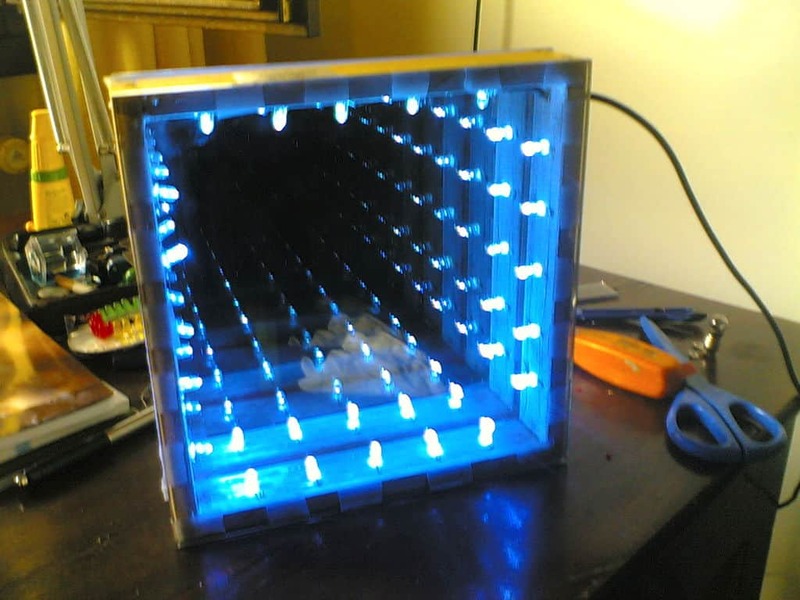 This awesome tutorial from Instructables shows you how to make a smaller square framed infinity mirror that, thanks to its shape, looks like a funhouse tunnel or a portal into space. Are you still interested in making yourself an infinity mirror but you’re looking for something a little more unique and accessory based that’s also still small? 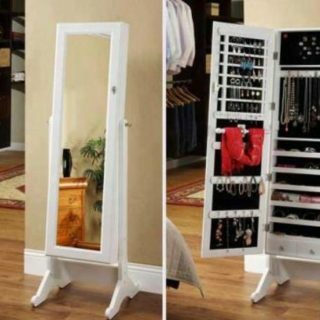 We can understand why maybe you’d want to make a functional object that features the effect rather than just making a mirror, since the coloured LED lights don’t exactly make the mirrors the most effective place to do your makeup or style your hair. 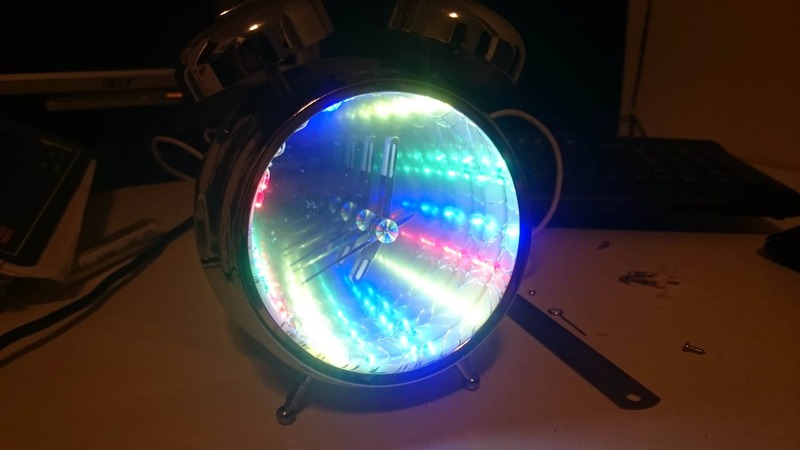 In that case, check out this awesome tutorial for building your own infinity mirror alarm clock instead! 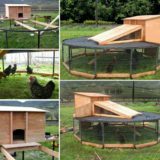 Instructables has all the details you’ll need. 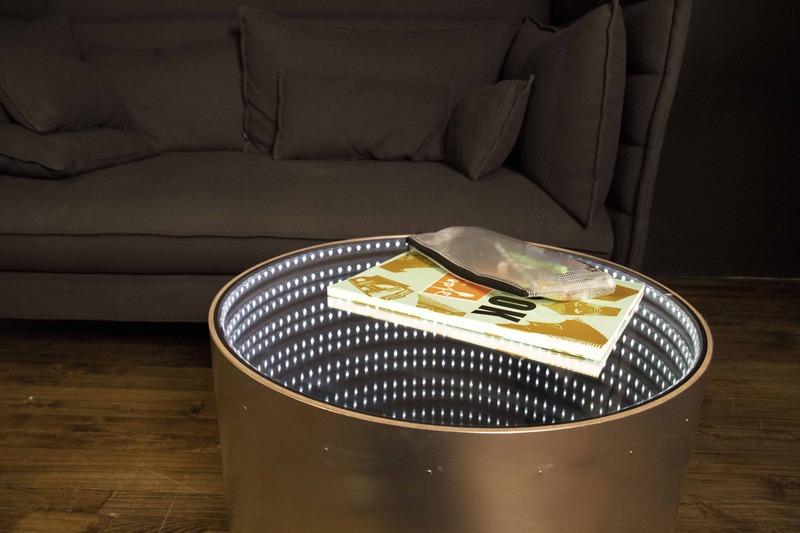 We know we’ve already showing you a few coffee tables that feature infinity mirrors in the top, but here’s one that’s a little different in its construction, just to make sure you see a whole variety of options before you decide on which project is for you. This particular table from Ana White has the mirror inset more in the centre of the table rather than taking up the whole top and it’s also constructed a little bit differently so you can work around the drawers in the side. 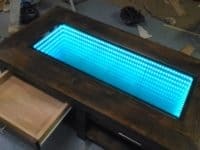 This kind is usually made by upcycling an old glass topped table rather than starting from scratch and building an entire table of your own. 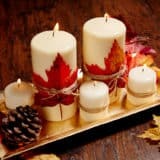 We’ve certainly shown you lots of tables by this point, but what if what you really need is a smaller piece of furniture that you can use as a side table or hallway furniture? 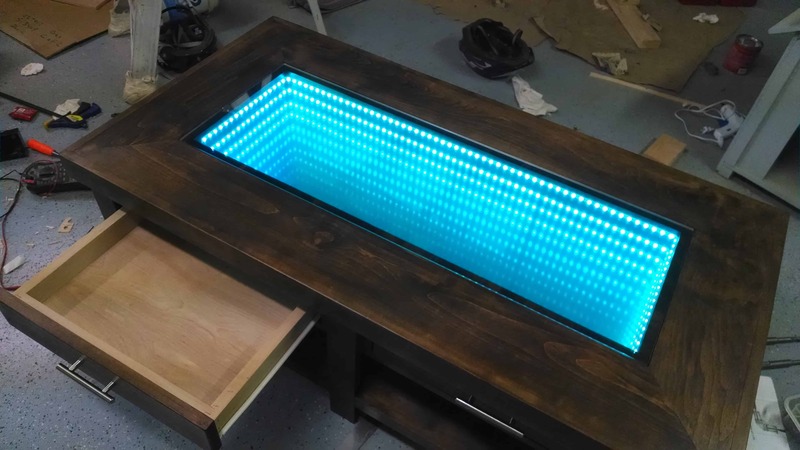 Well, that doesn’t mean you can’t still make yourself an awesome infinity table that makes the space feel somehow modern and kitschy all at once! Making Studio guides you step by step through the process of making yourself a rounded table instead of a square one, just to shake things up a little. 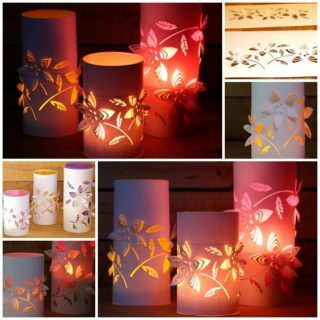 Are you pretty sure you’ve decided on a size and design when it comes to making your mirror or your mirrored décor piece, but now you have to choose a colour for your LED lights? 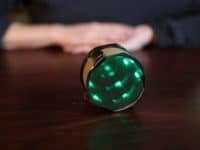 Well, there are just about unlimited colours you can choose from depending on where you’re purchasing your lights from. 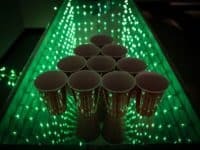 If you’re going to make a crazy light-up décor piece, however, then we think there’s no harm in making it as eye catching as possible! 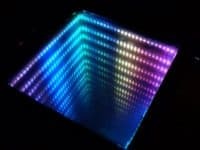 That’s why we loved this tutorial from Enviral Design for making a rainbow version of the classic infinity mirror. 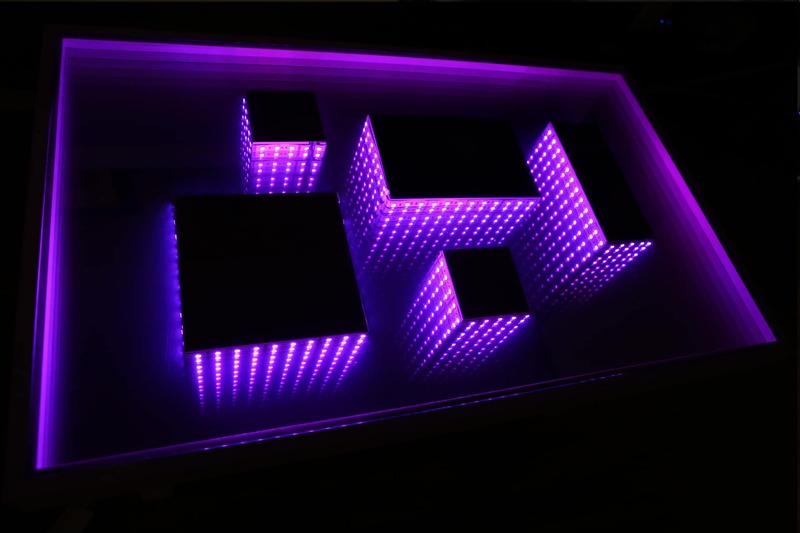 Do you really like the idea of making a wall piece or a smaller mirror but you’re not sure how you feel about the coloured lights because they look a little too much like the inside of a limousine or a party bus for your tastes? In that case, perhaps you’d prefer this clean white LED light version from Meyer’s Magic Mirrors! The way they’ve position their lights looks more like a disco themed music video scene and we’re very into it. 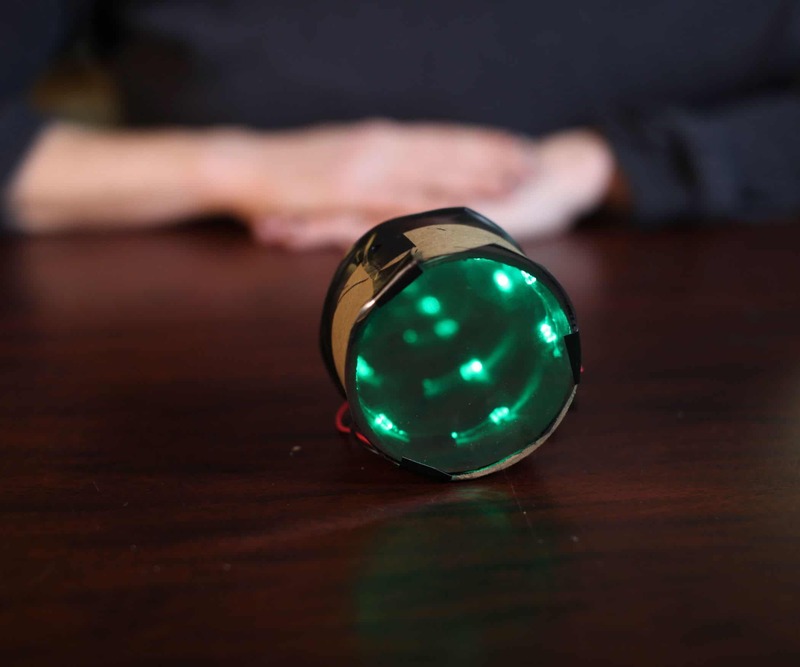 Perhaps you’re actually not the member of the family who originally became interested in light-up infinity mirrors and it was really your kids who brought the project to your attention and wanted your help making one? 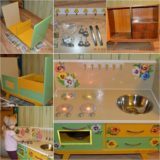 Then perhaps you’d be better off making a smaller version for practice before you tackle the real thing, since working with glass and electronics is quite a hefty craft for kids. This miniature crafty infinity mirror from Instructables is a better size and will make your kids feel like they spent the afternoon doing a science experiment. Have you ever seen those mirrors that come in a quad frame of four squares, as though they’re set into an old window pane? 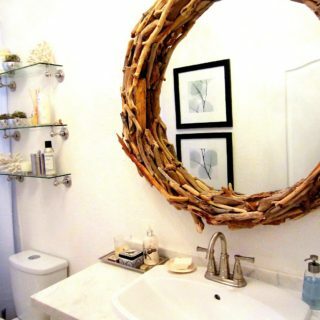 We like them because they give a bit of visual interest in their décor with the way they’re split up. 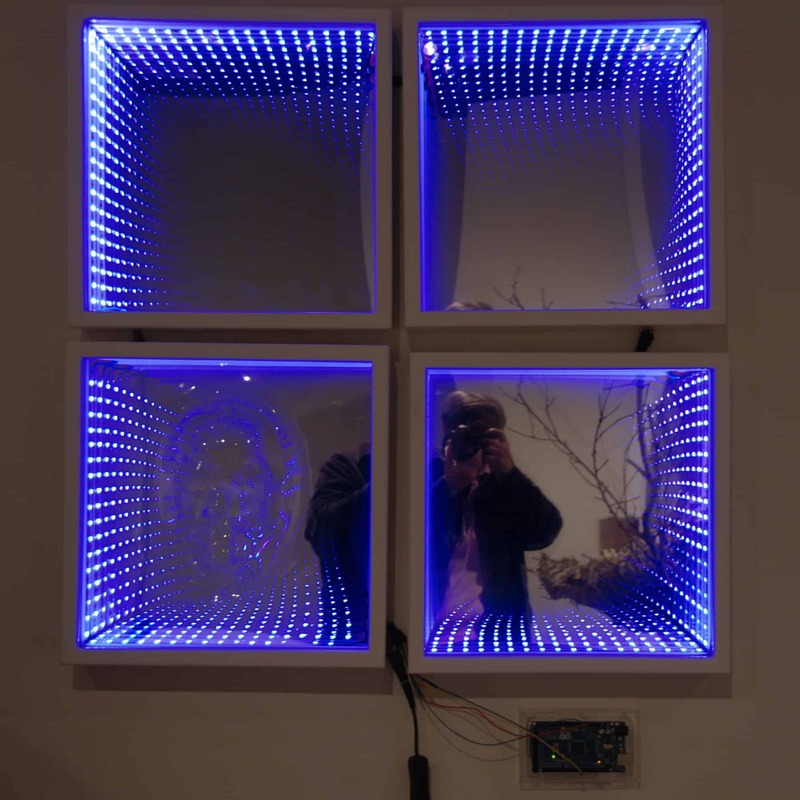 This infinity mirror project from Shutter Thyme mimics those mirror frames by arranging four mirrored squares complete with lights in one set. Rather than looking vintage like the window frame mirrors, though, these ones look like a series of windows into an awesome dance club! Did you like the idea you saw in the monogram tutorial of placing an extra piece on the surface of your mirror so that it makes a shadow when you turn the LED infinity lights on, but you’re not keen on the actual letter part of that concept? Then perhaps you’d prefer to make a more abstract or geometrical pattern across your glass using square and rectangular pieces of different sizes. See how it’s done in more detail on Makezine! 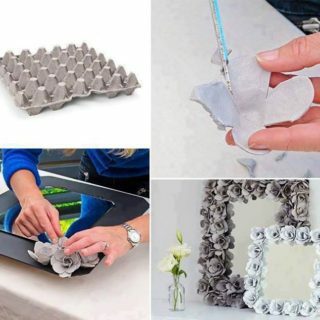 If you’re going to go to the trouble of crafting with harder materials like LED lights and mirrors, are you more into the idea of making something really cool, unconventional, and novelty, rather than just creating yourself a mirror or some regular wall décor? In that case, here’s an awesome project for every comic book and comic inspired movie enthusiast out there! 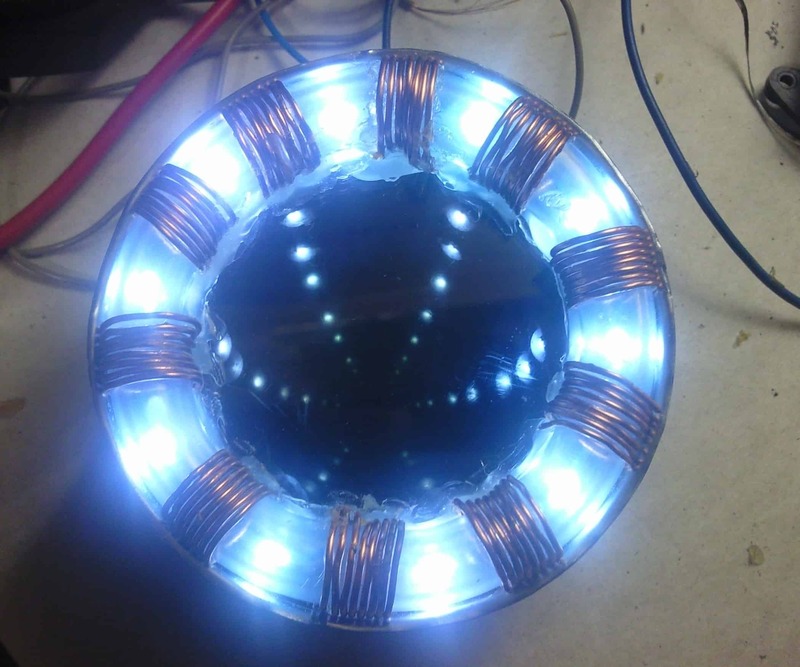 Instructables shows you how to use very similar techniques as you’ve seen for the rest of the infinity mirrors we showed you to create not just a mirrored craft, but a replica of the Arc Reactor from Iron Man!